Saute’ onion in olive oil. Add ground pork and let brown. Add white wine and let evaporate a few minutes. Add canned tomatoes. When almost done cooking, add sage and salt to taste. Serve over pasta cooked al dente. Want to see a picture? 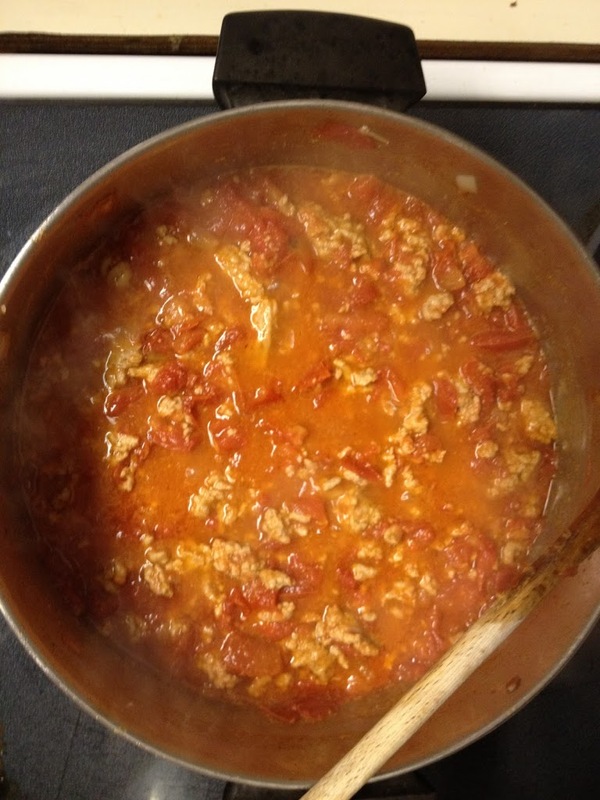 It looks sort of like Bolognese sauce but with chunky tomatoes rather than puree’. It also has a different hue since the pork is “the other white meat.” The sage lends such a distinctive yummy flavor. Oh!! This looks so yummie!!! !